He is just a regular guy, Maher Arar. As he waits his turn at the sandwich counter in the cafeteria, the 35-year old Canadian chats about the weather and soccer, and about Montreal, the city he emigrated to from Syria at age 17 with his parents. He learned English and French and studied at university to become a computer engineer. He met his wife, Monia Mazigh, an immigrant from Tunisia with a post-doctoral degree in finance. The couple, practising Muslims, moved to Ottawa and now have two children. But what has happened to Arar since the fall of 2002 is anything but regular. On a stopover at New York’s JFK airport to change planes on a return trip from Tunisia to Canada, he was taken aside and interrogated about his life in Ottawa, his work in the computer sector and his acquaintances. The FBI showed up, and Arar was taken to a detention center in Brooklyn. Twelve days later, he was deported under cover of night, without any kind of process. Not to Canada, but to Syria. 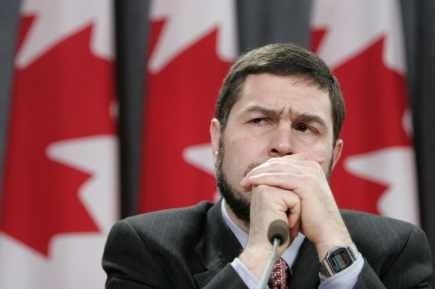 Maher Arar is running a spirited campaign in Canada to clear his name. Arar also says he was physically tortured. He was beaten with electricity cables, struck and pummelled by hand. The beatings left red spots and bruises for weeks. Syria denies that Arar was tortured, but according to Alex Neve, head of Amnesty International Canada who interviewed Arar extensively, Arar’s story is consistent with the organization’s information about torture practices in Syria. The techniques are used to avoid leaving permanent scars. That fact is widely accepted. Arar is seen in Canada as an innocent fellow citizen whose fundamental human rights were violated in an unlawful deportation to a country that practices torture. Helped by supporters, including Amnesty International, Arar managed to persuade the Canadian government to establish a public inquiry into his case. Arar accuses the Canadian police and Canadian spy agency CSIS of involvement in his deportation. For more than eighteen months, Justice Dennis O’Connor examined Arar’s case, and the role Canadian authorities played in his fate at the hands of Syrian torturers. More than 80 Canadian diplomats, policemen, spies and lawyers have given testimony to paint a picture of misunderstandings, incompetence and naïveté about America’s war on terror. Last month, the hearings were completed. Little is known about the original suspicions against Arar, as he was never formally charged with any crime. CSIS was watching him because he knew two other men who were also under surveillance: Abdullah Almalki and Ahmad El Maati, both Canadians of Syrian origin. And, like Arar, both ended up in detention in Syria on suspicion of involvement in an Al-Qaeda cell in Canada. A coalition of 18 organizations supporting Arar suspects a secret collaboration between CSIS and Syria, comparable with the American practice of “extraordinary rendition,” in which terror suspects are remanded into the custody of countries that practice torture. Canadian detainees were asked questions in Syria “that could only have come from Canadian investigators and which, it can reasonably be inferred, were to provide answers to further a Canadian investigation,” said the coalition, which includes Amnesty. Canada denies involvement in the decision to send Arar to Syria. That call was made by the U.S. alone, crown attorneys say. The Americans maintain that they sent Arar to Syria based on intelligence obtained from Canada. The inquiry has not turned up any concrete evidence that Canada was involved in Arar’s deportation to Syria. Canadian authorities have, however, acknowledged that they informed the U.S. that they were watching Arar. According to Mike Cabana of the RCMP, such intelligence was supplied to the U.S. after September 11, without any conditions on how it was used. “Old safeguards no longer applied.” A colleague testified that he had let the U.S. know that he did not have enough evidence to keep Arar detained, thinking that might speed up Arar’s return to Canada. Instead, it may have prompted the Americans to send him to Syria. 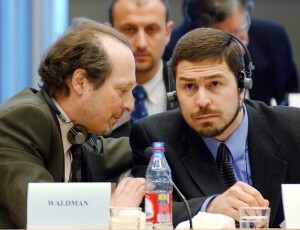 Maher Arar with Lorne Waldman, one of his attorneys. More damaging for Canada was testimony about how the Canadian authorities responded when Arar was in Syrian hands. It has turned out that CSIS agents visited Syria shortly after Arar’s detention. Also, it was revealed that the Canadian ambassador in Damascus at the time forwarded the results of Arar’s interrogation to Canada. There are no signs that the diplomat raised questions about the way in which the information was obtained. 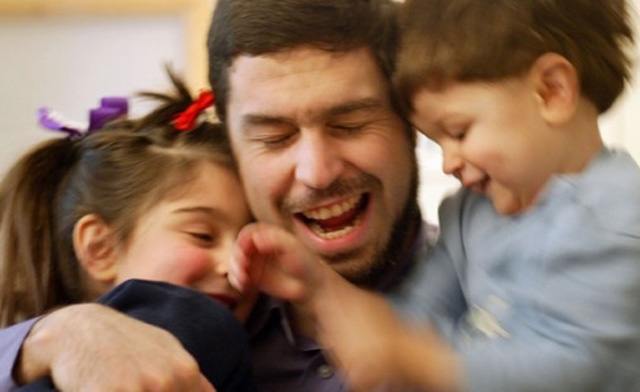 Maher Arar with his two children.